Anderson Farms grows each year, just like our pumpkins and squash. We know the families of Erie have made visiting with us a tradition, and we want to make sure that we keep finding new and exciting activities for you all to enjoy, for years to come. 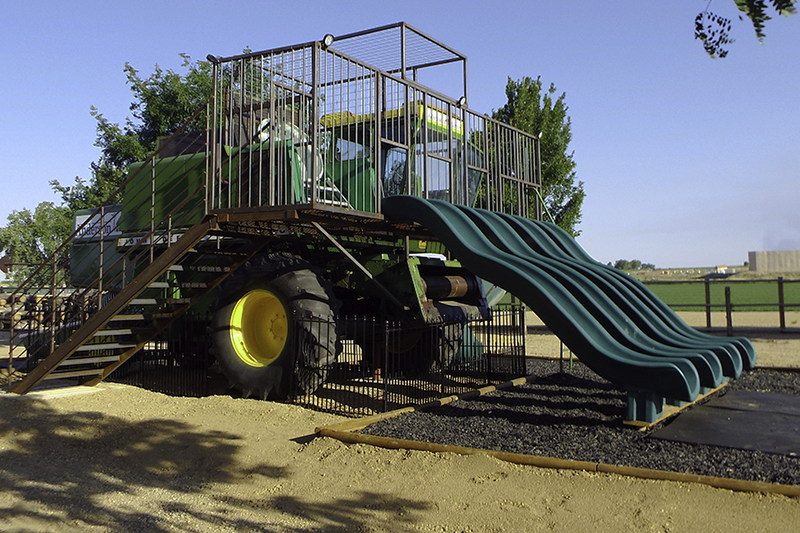 We took a corn-harvesting tractor, called a "combine", and turned it into a playground! Has SIX slides attached to maximize fun! Not just for kids! Adults can play on the Combine Slide, too! Fun for the whole family! 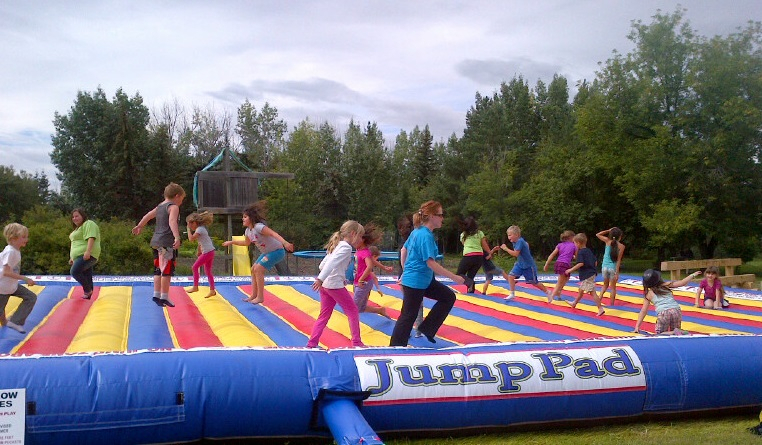 Anderson Farms has added two GIANT Jump Pads for ALL AGES! Built with individual pockets of air which lends to jumping more safely! Over 4,000 square feet of JUMPING FUN! At Anderson Farms, we are consistently adding brand new activities and attractions for our gusts to enjoy! Join us this year and we'll show you why memories are grown here.